In a large saucepan heat the olive oil. When the olive oil is hot add the mushrooms, onions and garlic. Then add white wine. 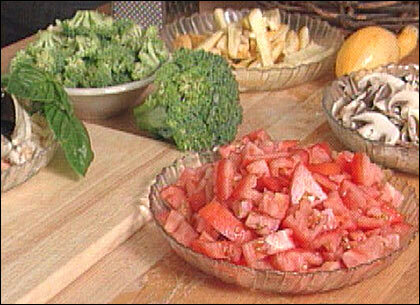 When the mixture is hot again add the seafood and tomatoes. Stir gently until the seafood is cooked, about 3 to 5 minutes. Add butter and remove from heat, stirring in the melting butter. 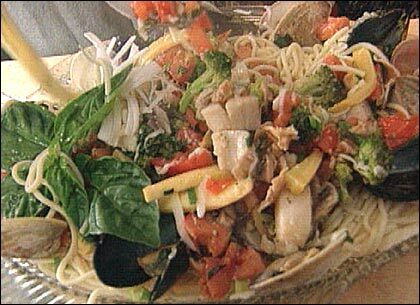 Place cooked pasta on a platter, add the seafood mixture and serve. This segment appears in show #2919.